A number of years ago I was in Texas attending an event related to one of my businesses. The room was filled with several hundred attendees waiting to hear the featured speaker who was scheduled to do a training. Unfortunately, he had the flu and couldn’t speak. One of the event organizers knew me and asked if I would be willing to fill in. I had nothing prepared but I said yes, got on stage and did a 30 minute training. I was able to do that, without notes or preparation, because I knew the subject matter. I had trained many times before, both on stage and on conference calls, and was able to pull a rabbit out of a hat. Even if you don’t regularly speak or train or address a jury, you should be able to do the same thing. You know your area of expertise cold, don’t you? You should be able to explain what you do in a cogent manner. The challenge is to make it interesting enough to engage your audience, so they will remember what you said, and remember you. So here’s my charge to you. Flesh out a five minute talk about some aspect of what you do. Start with a few bullet points, then add an opening and a closing. Open with a story, a startling statistic, or a provocative question. Share stories about cases or clients you’ve had, to illustrate your material and to bring it to life. Close with a summary and tell them what you want them to do. Practice your talk. Record yourself delivering it. Get good at it, because even if you’re never called upon to deliver it to a live audience, it will help you become better at communicating what you do. Wait. You’re not done. You should also prepare a 20-minute talk, and be prepared to deliver it if called upon. A standard talk you could do at a luncheon or on a webinar. Who knows, you might find you like speaking and have a new way to bring in business. Finally, prepare a one-minute talk. This will probably be the most difficult, but also the one that you are most likely to deliver. Believe it or not, some people don’t like me. Okay, maybe it’s not me they don’t like, they don’t like my writing. They think my ideas “aren’t for them”. My writing style makes them uncomfortable. They don’t think I understand them or can help them. For one thing, I never hear from them. They quietly leave my email list or stop visiting my blog. They’re gone, like a fart in the wind, and will probably never return. The other reason I don’t care is that they aren’t my target market. I don’t write to them, or for them. If they don’t “grok” me, they probably don’t trust me and my ideas and thus they aren’t going to hire me or recommend me. If I cared about what they thought and tried to appeal to them, I would have to water down my style or homogenize my ideas. If I did that, I would be doing a disservice to the ones who do like me: my prospects and clients. So, I ignore them and continue to do my thang. And the more I do that, the more I attract people who like what I say because they know I’m talking to them. One of the reasons I pound on the idea of targeting niche markets instead of marketing to “everyone” is that it allows you to connect with the people in that niche on a deeper level. By your examples and stories and yes, even your style of writing, they think, “he gets me”. 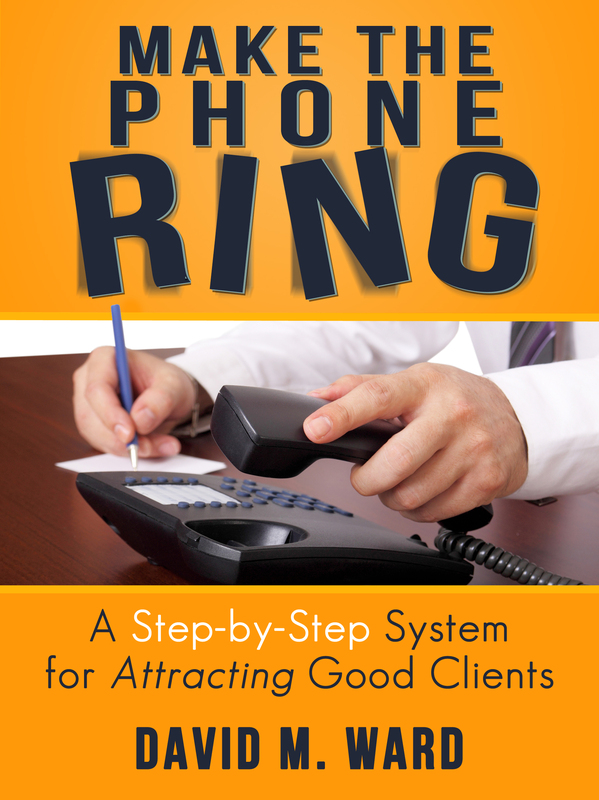 That synergy leads to more clients, more referrals, and more positive word of mouth. That doesn’t happen when you try to please everyone. Write to the people who get you. Ignore the ones who don’t. You know your clients, and care about them, and so when you write to them or for them, you communicate at a deeper, more informed level than you do when you’re writing to strangers. You understand your client’s business. You know their family. You know what they like and how they think, what they need and what they want. You have a relationship with them and when you write to them, you are more relaxed, more open, and more genuine. Why not be that way with everyone? When you write a blog post or article, when you speak before a group, when you meet people while networking, think about them as though they already are your clients. You may know nothing about them (yet) but by showing them that you care about them and want to help them, when you generously share your knowledge and advice, when you have a conversation with them instead of talking at them, they will come to know you and trust you. Some of them will become actual clients. This is a great way to accelerate that process. 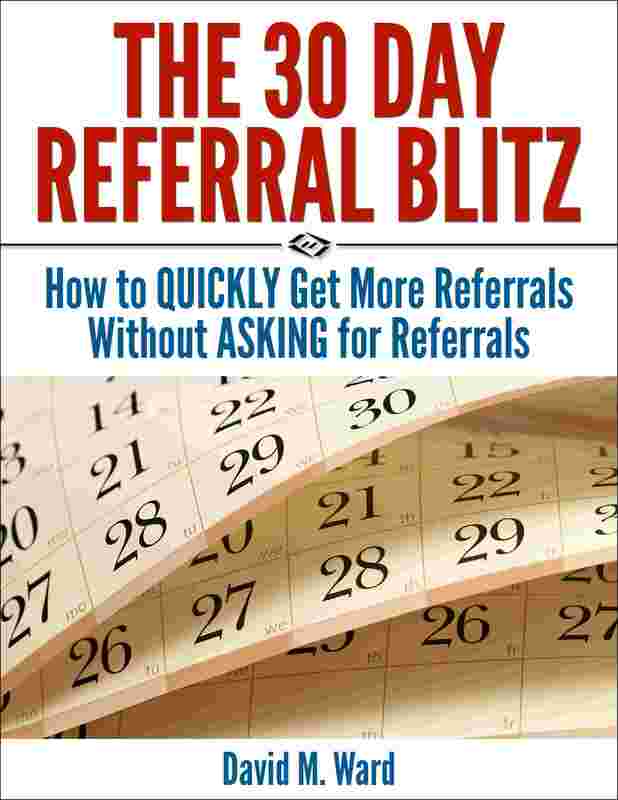 So you want to get people to register for your seminar, hire you for your service, or buy your new book. What should you do? Promoting isn’t announcing. Announcing is merely stating the facts. Promoting has an emotional element to it. Here are 3 keys to promoting your event or offer. If you’re not excited about what you are promoting, you can’t expect anyone else to get excited. If they’re not excited, they’re probably not going to look at what you’re offering, let alone sign up. Start by asking yourself why you are excited about your offer. What’s new about it? What’s different? What will it allow people to do that they can’t do now? Put your thoughts on paper or record them. Tell people why you are excited and, more importantly, make sure you sound excited. Don’t go over the top, and don’t make up things. Just share how you feel about it. Tell people why they need to act immediately. Tell them why they should not delay. What will they gain by taking action now? What will they lose if they don’t? If there is limited seating or phone lines or quantities, tell them, and be specific. If you’re offering an added benefit for the first ones who respond such as preferred seating, additional bonuses, or lower pricing, tell them. Make sure they know why they shouldn’t wait, and then tell them what to do: go here, do this, do it now. Don’t tell them once, tell them several times. They may not have received your email, or read it. They may have been busy with other things and forgot. They may not realize that what you are promoting is as good as you say it is, or believe you when you say you’re not sure it will be repeated. So tell them again, and tell them in different ways. In one version of your message, appeal to their desire for gain by emphasizing the benefits. In another message, appeal to their fear of loss by telling how many others have signed up or how many seats are left. Get excited, use urgency and repetition to promote your event or offer and you’ll get more people signing up. When I write sales copy, presentations, books, or blog posts, I often use a formula that makes it more likely the reader or listener will do what I want them to do. I may want them to buy something, do something, or remember something. The formula works the same way. Try this formula the next time you write something. You may find it helpful to start with the call to action. What do you want them to do? What’s the key takeaway? Then, either work backwards through the other parts (ie., the benefits they will get when they do what you want them to do, the solution that delivers those benefits, etc.) or go to the beginning, describe the problem, and work forwards. After studying hundreds of speeches, I’ve found that the most effective presenters use the same techniques as great storytellers: By reminding people of the status quo and then revealing the path to a better way, they set up a conflict that needs to be resolved. Tell them a dramatic story that makes them angry or afraid. Just make sure it has a happy ending. 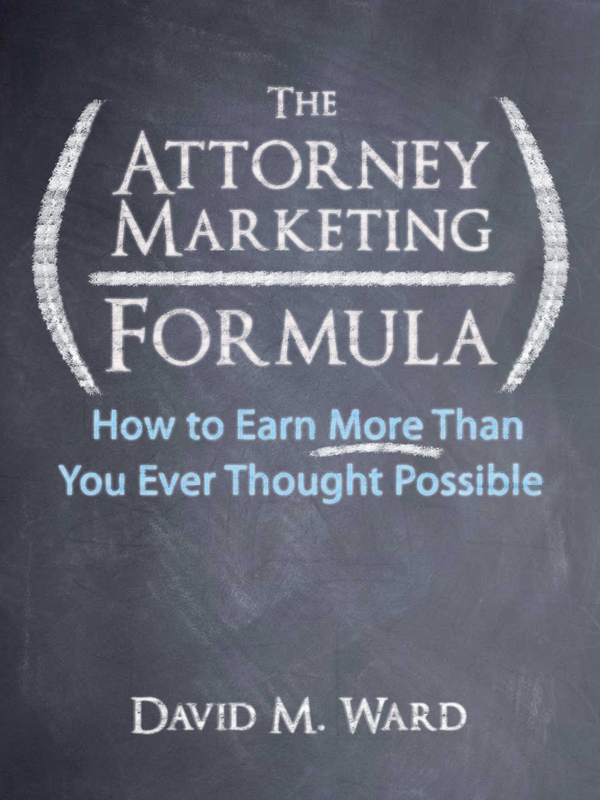 Do you know the formula for earning more in your practice? Go here. I just got off of a conference call. Thirty-five minutes intended to inform listeners about exciting new developments in our business. The news is exciting. Very positive developments. Great things lie ahead. The problem is that if you weren’t already aware of that news, the conference call did little to inform or excite you. There was too much information. It was difficult to follow. That’s bad enough in a meeting with visuals or handouts, but on a conference call, it is the kiss of death. People are dialing in from their car or from the gym or while distracted with other things. Too much information begins to sound like Charlie Brown’s teacher. Everyone tunes out. There were also too many speakers. That meant extra time for introductions. There was a lot of overlap, with speaker B covering the same information covered by speaker A. It was also obvious that the speakers had not been told how much time they were alloted (or didn’t follow instructions). The host cut off one speaker who spoke too long so the next speaker could be introduced. Ouch. The call ended with platitudes and hyperbole. Words that were intended to inspire listeners to take action, but simply made listeners (me) cringe. Unfortunately, these are common issues with meetings and presentations. It’s why people dread going to meetings and find most presentations too long and boring. 1. Be brief. Succinctly present three (no more than five) key points, and organize them so they are easy to understand and easy to remember. Additional details can be made available via a hand out or web page. Have as few speakers as necessary. In a short presentation, one speaker is usually best. 2. Be brilliant. Don’t do an information dump, have a “conversation” with your listeners. Keep the facts to the basics. Talk more about benefits and less about features. Tell a memorable story. Tell them what and how, but mostly why. Leave them wanting more. 3. Be gone. Keep it short, under twenty minutes if possible, and end with a call to action. Tell participants what to do. Avoid hype. Let the benefits in your presentation inspire people to do what you have told them to do. Be brief, be brilliant, be gone. There’s an oft cited experiment by Australian psychologist Alan Richardson. The objective was to see if and to what extent visualization could improve sports performance. Richardson tested three groups of twenty student basketball players shooting free throws and recorded their results. For the next 20 days, he had the first group practice free throws for twenty minutes each day. The second group spent 20 minutes each day visualizing themselves making free throws, without actually practicing. The third group was the control. They did no practicing or visualizing during the twenty day period. On the twentieth day the three groups were tested again. The group that practiced every day improved their shooting percentage by 24 percent. The control group’s results were unchanged. The group that did no physical practice but merely visualized shooting free throws improved by 23 percent–nearly as much as the group that actually practiced. In his paper about the experiment, Richardson wrote that best results occurred when the subject used their imagination to “feel” the ball in their hands, “hear” it bounce, and “see” it go through the hoop. The more vivid the experience, the more likely they were to improve. When I was studying for the bar exam, I routinely visualized myself writing the exam. I pictured myself writing freely and easily, fully in command of the material. I even took a self-hypnosis class to help the process. I don’t know how much (or even if) this helped me pass the bar (the first time, thank you), but I remember going into the exam relaxed and confident. Lawyers can use visualization to prepare for a speech, an interview, a trial, or a meeting with an important prospective client. If all it does is give you confidence, it’s worth it. In the basketball experiment, we are asked to believe that visualizing alone provided improvement nearly equivalent to that achieved through actual practice. I understand that this was a test of a relatively simple activity and not on a par with studying for an exam or practicing a closing argument, but it is intriguing, isn’t it? It makes you wonder what else we could improve with the power of our imagination. Most of what we do in our work probably can’t be improved by thoughts alone. I wasn’t about to go into the bar exam without studying and doing practice exams. But I’d sure like to know if my visualization contributed to my results in any material way beyond helping me relax. Unfortunately, the basketball experiment wasn’t complete. In my view, there should have been a fourth group tested. This group would have been asked to both practice and visualize. What might those results have told us? Today, my wife is reporting for jury duty. I’ve told her to visualize being excused early in the day. Of course I’ve also reminded her to emphasize her husband’s background. Hey, it couldn’t hurt. DW: I invite you to read and study this comprehensive guest post by my friend, Mitch Jackson. Mitch is a successful trial lawyer who has used social media extensively to build his practice. Social media is all about sharing good content and helping others. Results come from engaging, caring and providing value. My general rule is that only 20% of my posts on the various platforms are about me or my firm. The other 80% are focused on sharing tips and curating good third party content that helps others. This article is about the 20%. You’ve just settled an interesting case or obtained a favorable verdict. Maybe you’ve even made new case law. Here are 10 ways to share this news or update with your tribe (current and past clients, family, friends, and other followers on social media). Before we get started, remember that in today’s digital world, we’re all media companies. Producing and sharing good content is now, in my humble opinion, mandatory. It’s also important to understand and appreciate the fact that while content is king, context is everything. Each platform is different (some more than others) so care must be taken to post to your tribe the right way on each platform. Also make sure to start with a good profile on each social media platform. On the internet, you only have about the average attention span of a goldfish (9 seconds) to capture someone’s attention. Make sure to complete each profile with your picture (not a firm logo) and short interesting bio (not a boring lawyer bio). Share your good news or update in a properly written blog post. Use effective headings and appropriate keywords. Use a story format and write in your own voice and in a non-legal way. Make the post interesting and easy to read. Increase interaction by always including a picture, graphic or video in your post. If you’re writing your blog posts like all the other lawyers out there, then you’re probably doing things wrong. Be yourself and unique. Share your art. If you don’t have a website or blog, this is your first high priority step. Everything is going mobile (smartphones and tablets) so make sure your site is mobile responsive (no exceptions). I’m a big fan of WordPress with Studio Press hosted on WPEngine. Click here to see how we’ve setup our firm website and communication tips blog. Share the catchy heading of your blog post, together with a short description sentence on Twitter. Include the link back to your post. Use a hashtag. Although Twitter allows for 140 characters, try and keep your post to about 120 characters to leave room for people to retweet with comments. Because pictures attract more attention, add the picture you used in your post to your tweet. If you don’t have a picture, use one of the free or paid online services to grab an image that relates to your story (I like Fotolia). One of my favorite techniques is to download and use the free screenshot service called “Jing” by TechSmith to capture a picture of the top portion of my blog post to use later for posting on the other social platforms. While you’re thinking of Twitter, take your blog post and break it down into 5-10 snapshots addressing key points and topics contained within your blog. Each snapshot or tweet is worded in its own unique and eye catching way. I use a Word or Google document and keep a list of these mini snapshot tweets for future use. Sit down at night or early in the morning and use Hootsuite or Buffer to schedule these additional tweets once or twice a day, over the next 5-10 days. Each tweet links back to your original blog post. Click here to see how I’m using Twitter. Take one or more of the tweets that you have listed in your Word document and share it on Linkedin, linking back to your blog post. Normally I do this in the above step by telling Hootsuite to send out the tweets I schedule to both Twitter and Linkedin. Click here to see how I’m using Linkedin. Again, I take one or more of the tweets I’ve listed in my Word or Google document and re-purpose the language for Facebook. Unlike Twitter, Facebook posts can be longer so I usually add a bit more information in Word before posting with the link back to my blog post. Images are powerful attention grabbing magnets on Facebook and will result in more interaction, shares and comments. Because of this, make sure to include an image with your post. Rather than allowing the link to my blog post to automatically pull an image back into my Facebook feed, I prefer to upload my own image from the blog post. Doing this will display a larger image in your Facebook post. I have a personal and business Facebook profile and depending on the nature of the content, I post to each once or twice a day.Click here to see how we’re using Facebook for the firm or here for my personal page. If you’re not using this platform then you’re missing out. Upload the picture or screen shot relating to your blog post and add it to one or more of your Pinterest Boards. Several boards you may want to set up include current news, verdicts and settlements, legal tips, testimonials, videos, photos, podcasts, newsletter, and community service, just to name a few. After using the content in your Word document to complete the description in Pinterest, make sure to add 3-4 relevant hashtags at the end and also include your blog post link in the source link box. This way, when someone clicks on the picture they will be taken to your linked blog post. I have both personal and law firm Pinterest sites. Feel free to click on the links to see how I’m using them. Video is huge on social media. Within a year of posting our first video (it wasn’t very good but it was a start), we received hundreds of new client inquires and dozens of new cases. I was also featured in various high profile websites, blogs, and even the ABA Journal. Talk about good publicity! If you haven’t already done so, setup your Youtube channel and start making and posting short 1-3 minute long videos. Also share other interesting videos about your activities and events on your channel. People will relate to you when they learn more about your interests, passions, and even your family. You don’t need a fancy camera and the process is pretty simple. There are plenty of “how to” resources out there but I think you’ll figure things out once you complete and upload your first couple of videos. Using a lapel mic is key to getting good audio. By far, the best videos we’ve shared are the ones that do not look like they are professionally shot. For example, one involved me stopping while riding my mountain bike and using my smartphone to shoot a selfie video about why staying healthy will help you be a better trial lawyer. It received a great deal of favorable traction and feedback once shared on all the platforms. Putting the camera up on a tripod at the office and sharing my take on a breaking news event (called newsjacking) has also resulted in articles on Lawyers.com, national interviews, speaking engagements, and even being mentioned or profiled in more than one book. One bit of advice is to remember to pay attention to your background and how you look, and keep your video short and sweet. Tip: Here’s a secret most people overlook. There are many services and programs that will allow you get the audio of your video transcribed so that you can use it for a future blog post. Others will allow you to rip the audio from the video which you can then use as a podcast more fully described below. The key is to keep things interesting and snappy. Don’t be a boring lawyer. Don’t sit behind your desk and sound like bla, bla, bla. When I look back, I’m embarrassed to watch my first dozen videos. But guess what, it was a learning process and in the long run, it’s all good. Here’s our Youtube channel if you’d like to see the bad and the good. This often overlooked platform is well respected and used successfully by marking pros around the globe. I’ve been neglecting this platform for far too long. This past weekend, I uploaded a new SlideShare about negotiation and within the first 24 hours it had more than 900 views and trended on Twitter and SlideShare. The response was so good that this presentation was then profiled on the SlideShare home page. Two days later, we’re over 2,000 views. The exposure for my firm was huge! You can and should do the same thing. Think about this for a moment. 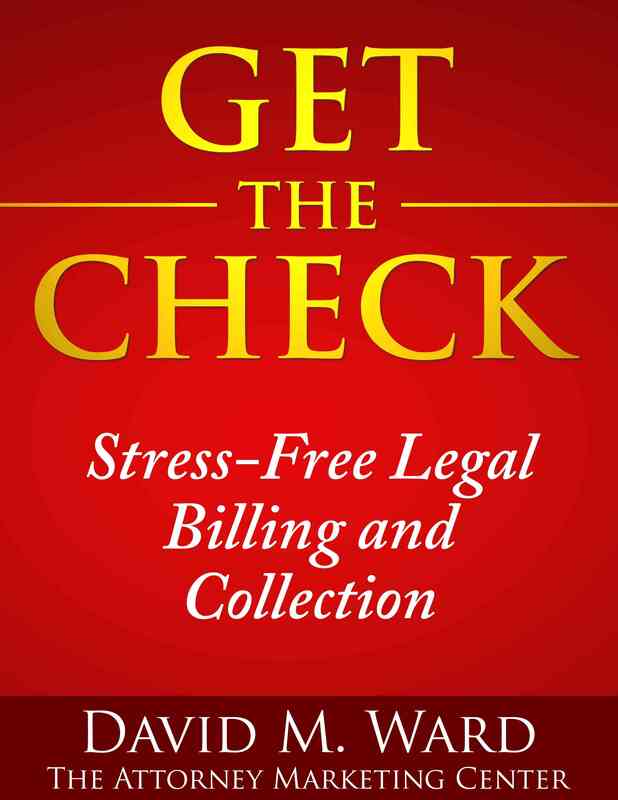 Everything you do as a lawyer is based upon steps and checklists. Take the material you already have that can help consumers (“10 Things to Know and Do If You’re Arrested” or “6 Steps to a Successful Patent”), create compelling and easy to read PowerPoint slides and then upload them to SlideShare. Take the blog post we’ve been talking about and break it down to a 15-20 slide presentation. Link back to your original blog post. Here’s how we’re using SlideShare. Podcasts are very popular because mobile technology now allows us to easily listen to podcasts anytime and anyplace. Take your blog post and turn the content into a short 10-20 minute podcast. Start with a snappy and attention grabbing intro and then share your information using your own voice. Use your post as an outline and just share your message from your heart. Close with a call to action referring back to your website or blog. Interviews are also a great way to expand your sphere of influence. Once you’re up and running, reach out and interview other people who your listeners might find interesting. When you’re done, share the link with your interviewee and he or she will almost always share the interview with their audience. This is a great way to expand your sphere of influence and increase the number of eyeballs to your website, blog and podcasts platforms. There are plenty of resources our there to help get you started but my one stop “how to” podcast site is Cliff Ravenscraft’s Podcast Answer Man. Once we add and upload a podcast to our host (we use Libsysn), we share the podcast link back at our original post. We also upload and link to Stitcher, iTunes, and Soundcloud. Note, once my podcasts are completed and uploaded, I share the unique links of these three platforms to most of the above-mentioned social platforms. The heading and short description is changed from the earlier descriptions and posts. Links are also shared on the original blog post or website page, just in case a visitor would rather listen to the material. These live video platforms allow you to have your own internet television station. For me, Spreecast has been an awesome platform that has connected me with interesting and well known people from all around the world. I even had the chance to chat with Katie Couric and later that day, we both made TMZ. How cool is that! Some of the people I’ve interviewed are New York Times best selling authors and celebrities with 250,000 to 1,000,000 Twitter followers. What do you think happens when they tweet out that they’re going to be on my Spreecast? You can use these platforms to interview guests about legal topics or approaches. I’d also recommend that you do what I do and, depending on your passion, reach out and interview people associated with your unique interest. Your show may not have anything to do with the law but it will highlight the real you to your audience. This allows people to connect with you and that’s a good thing! Promote your show on all the platforms well before the event and also afterwards (they’re recorded). Share the event links and embed the video of your interview at your blog and platforms. Many of my Spreecasts will have 1,000 unique views within the first hour or so and several thousand in the first 24 hours. Lifelong friends have been made simply from using this single platform. As I mentioned in the Youtube section, you may also want to have your interviews transcribed or audio ripped for future use on blogs and podcast. Rarely is there a need to duplicate your efforts! Here’s my Spreecast page to give you an idea about what I’m talking about. Whether you “get it” or not, young adults are using these platforms and they’re becoming more and more relevant in the business world. Several high profile marketing experts are very keen on the future of these platforms. This in and of itself is good reason to get involved on these channels. Setup accounts and start using these platforms to share legal tips in a fun way. As an example, here is our Vine account and you can view our Instagram here. As of this post, Snapchat does not have a web based browser, so connect with me on the platform to see how we’re using it. The above approach is working very well for me. A single blog post can be shared using the above method over several days or weeks. Whatever works for you is fine. Just take action and get started. Keep in mind that what’s important on social is the 80% part of the equation. That is, engaging and helping others. However, when I do jump over to the 20% side of things, this is exactly how I do it. Without a doubt, the best increase in influence and engagement I’ve experienced on the digital platforms have come from my efforts relating to other interests that complement the practice of law. When I blog about a legal theory or explain new statutes or case law, all I usually hear are digital crickets. But when I share a blog or social media post about my passions, family, youth sports, or family trips, the interaction and feedback explodes. For example, I have a communication tips blog where I share a weekly communication tip. This blog is my passion and I enjoy providing useful ideas to help everyday people communicate more effectively. Over time, trust and rapport is established with people (my tribe) who share a common interest. When my tribe has a legal question or someone needs a lawyer, who do you think they call? Here’s my communication tips blog if you’d like to see what I’m talking about. Along the same lines, I enjoy trying cases and sharing trial tips. 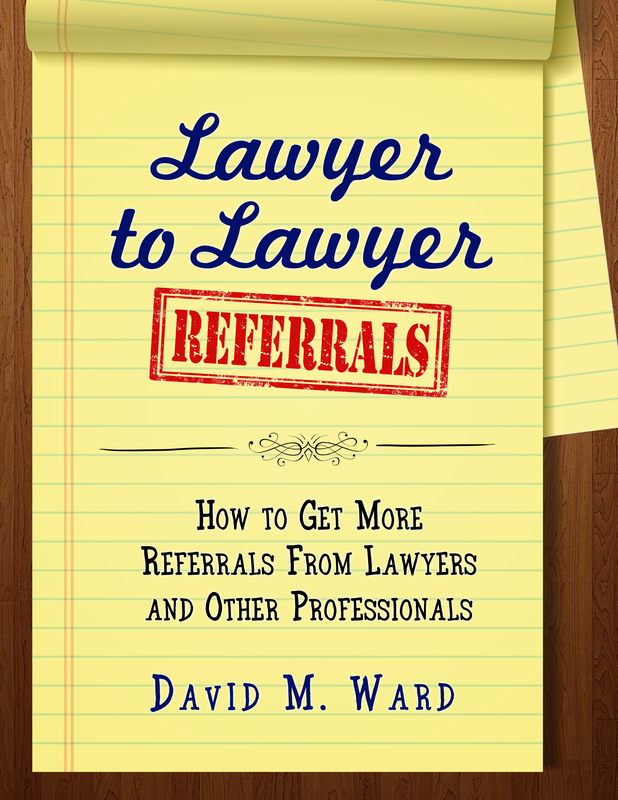 My Google Plus Trial Lawyer Tips Community is one of the platforms I use to expand this interest. Over the past year, the community has grown to over 1,500 members (mostly lawyers) sharing hundreds of outstanding trial tips. Click here to visit or join this community. Today, smart lawyers use social media to inspire, inform, educate and build new relationships. Hopefully you will use some or all of these ideas to do the same thing. I encourage you to use the different approaches in this article and start incorporating social media into your daily activity to expand your sphere of influence. But remember one thing. Social is not a sprint, it’s a marathon. Be patient and consistent in your efforts. Be transparent, share your unique art, and good things will happen. I hope you found this article useful and I look forward to seeing you on the digital platforms! Matt Abrams is an expert on public speaking and a lecturer at Stanford. In a recent article, he says you will be better able to remember presentations by “structuring your content,” rather than presenting it randomly. Not only does the structure give you a framework for recalling how the information fits together, I can see how it helps your audience better understand and remember your message. Now What: What to do next; the call to action. I like this, too. 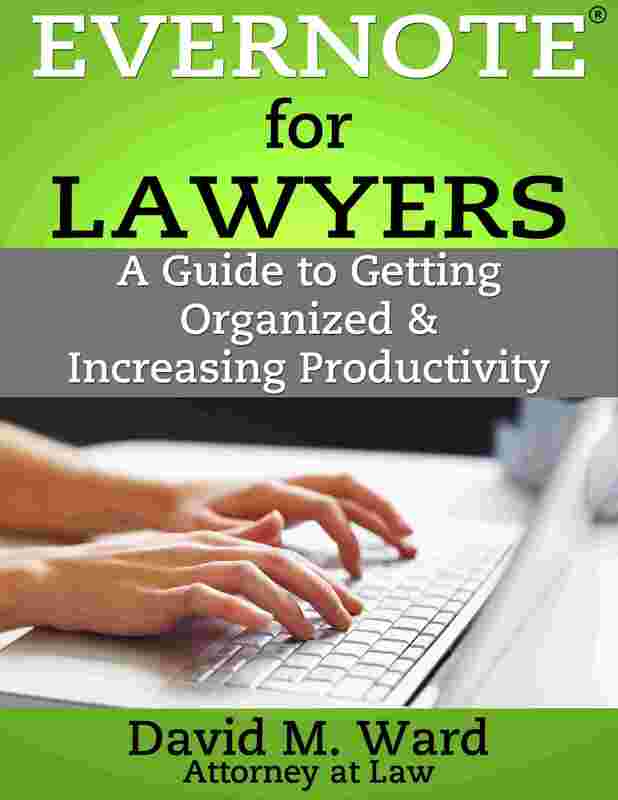 It can be used for formal presentations, papers, briefs, articles, letters, oral arguments, and blog posts. You can also use it to help a client understand where things are in a case and why they should follow your recommendation. The article has additional tips on public speaking, including how to practice a presentation.